Brazen Neighborhood Eatery is a new American restaurant with tons of creative dishes for you to try out when you're feeling adventurous. 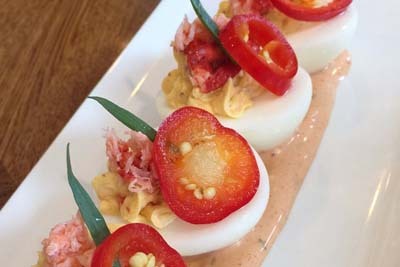 Some of the highlights of the menu here include the Ramen Soup, Meatballs, and Deviled Eggs. The outdoor patio is lit with fairy lights, giving it a perfect ambience when the sun goes down. The late night menu is filled with fried favorites we know you're going to love, and the waitresses here are always more than helpful, making this the perfect destination for relaxing with friends over a drink. Bookbar offers an experience for those who love the finer things in life...and we happen to be talking about the wine and literature. 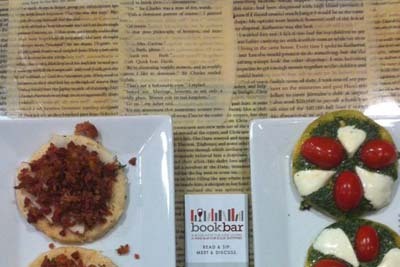 This bookstore meets wine bar has something for everybody to enjoy! Not only is this a great spot to drink at, but they also have high quality appetizers for you to choose from as well. The Tea Sandwiches and Crostini, as well as the Mini Cake Cubes are all things you'll want to try. The decor here is unbelievably comfortable and cozy, so stop by for a cup of coffee or a glass of wine. 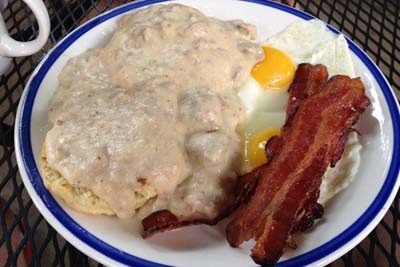 DJ's Berkeley Cafe is a traditional destination for breakfast and brunch in the Mountain View area. Some of the best things to order include the Rib Eye Scramble, Kitchen Sink, Peanut Butter and Jelly French Toast, New Mexico Benedict, Chorizo Breakfast Stew, and the Green Chili. The interior has an industrial feel with exposed elements, while the outdoors is sprinkled with chairs for when the weather is permitting. You might want to call ahead for a table, because that's how busy it tends to get on weekends. Axios Estiatorio is a Greek and Mediterranean style breakfast and brunch destination with some of the best burgers in town. They often have Living Social drals where you receive two entrees, a pastry to share and two Mimosas, which is a great deal! 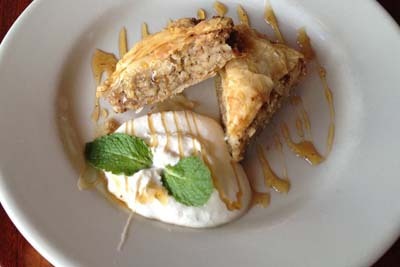 The Olive Oil Cake and Flourless Chocolate Cake are outstanding ways to end your meal, and when it comes to the more savory options you can't go wrong with the Gyro combinations, Souvlaki, Dolmades, and their ever popular Lamb Burger with all of the fixings and thick cut fries. Downpours Coffee is a coffee shop and tea house that's serving up some delicious lattes, coffee drinks, as well as pastries. The home made almond milk is some of the best we've had, and we love that they offer dairy alternatives to the community. They're also known for making their own delicious variations of Chai Tea, and Breakfast Burritos, which many locals describe as the most delicious start to their day. The location is convenient, especially if you're someone who enjoys strolling around downtown areas. Come check it out. Revelry Kitchen is our favorite spot to enjoy breakfast and brunch as well as healthy lunch options. When it comes to food here, you can't go wrong with the Northside Rancheros, Roasted Vegetable Hash, Lobster BLT, as well as their Banana and Nutella Muffin. 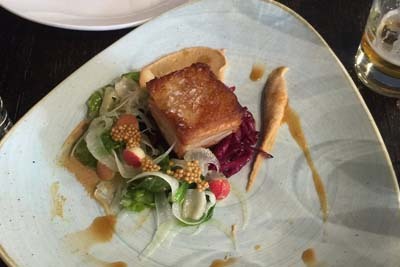 Everything here is presented in a beautiful fashion, and we love the open air of this restaurant. You'll always be greeted by smiles when you walk through the door here, and for those who have food sensitivities, they offer Gluten Free Chicken and Waffles for you to enjoy.